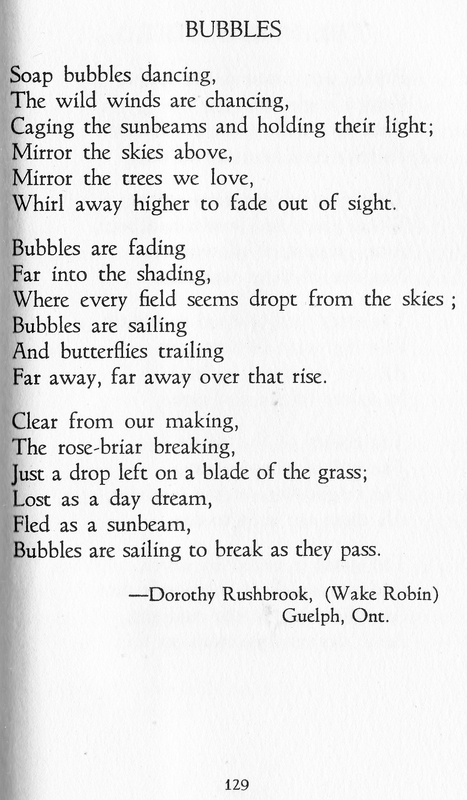 Rushbrook, Dorothy. “Bubbles.” Creative Young Canada: Collection of Verse, Drawings and Musical Compositions by Young Canadians from Seven to Twenty Years of Age. Ed. Aletta E. Marty. Foreward “Agnes Delamoure” (Nancy Durham). Toronto: Dent, 1928.